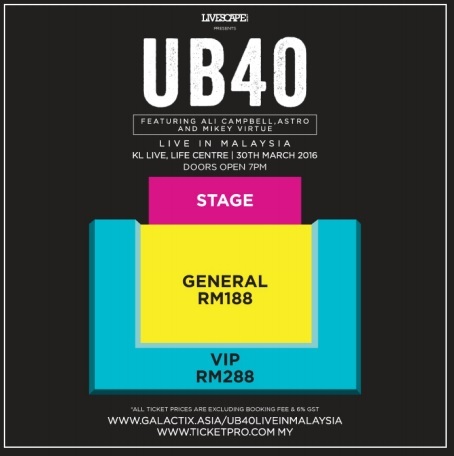 Home / concert / KL Live / music / tour / UB40 / British pop band UB40 is coming to Malaysia! British pop band UB40 is coming to Malaysia! 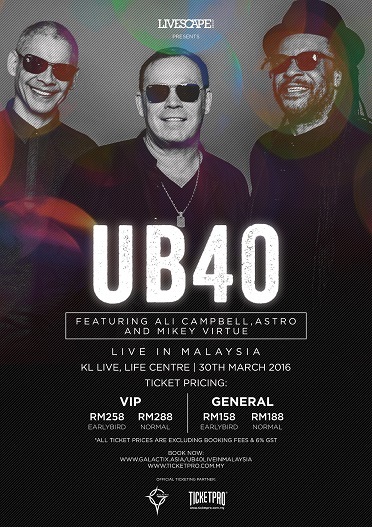 UB40 will be stopping by Malaysia for a one-night-only performance on March 30 at KL Live. 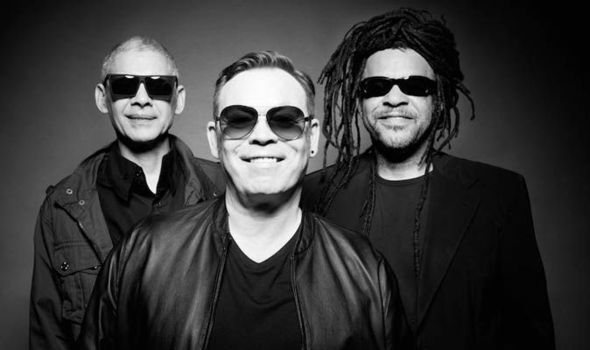 The legendary reggae pop band features founding members, Ali Campbell, Mickey Virtue and Astro. The four-time Grammy-nominated band is best known for their hit singles “Red, Red Wine” and “Can't Help Falling In Love”, and had more than 50 singles ranked in the U.K. charts. Formed in Birmingham in 1978, they have sold about 70 million albums worldwide. Ali and Mickey left the band in 2008 and were reunited with Astro when he left too in 2013. However the guys are rebranded as "UB40 Reunited" and will be touring the world. They will be dropping by Malaysia after their show in Australia and will continue with their tour to Indonesia. 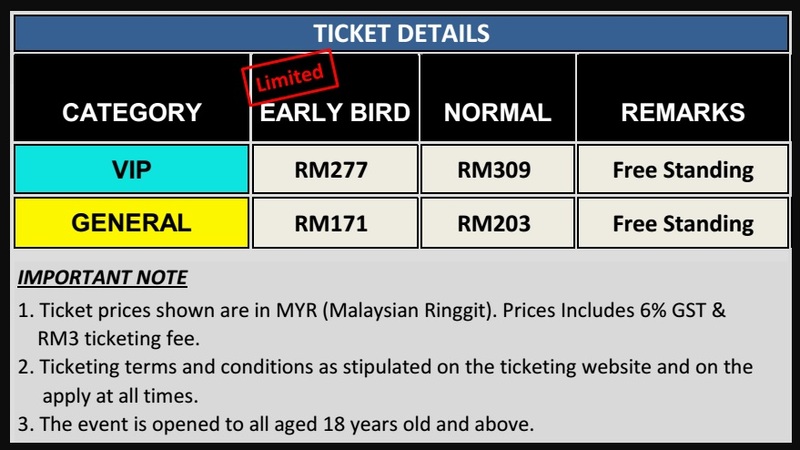 The show is scheduled to start at 8pm with tickets prices ranging from RM 158 to RM 288. Tickets are now available for purchase via www.galactix.asia/ub40liveinmalaysia and www.ticketpro.com.my.